With a conference being held at the Disneyland Hotel and a vacation the week after, I’ve spent most of the last two weeks living, eating, breathing, and soaking in all that Disneyland had to offer me. As I left at the end of last week, I found that I very much had the same emotions for the place as I did when I flew out there, but that didn’t mean that there weren’t new feelings, new thoughts, and a host of history that poured into my brain while I was there. If I started typing today, I may finish all my ideas, wandering word trails, and how today’s parks and resorts play into the fabric of Disneyland’s 60 year history by some point before the end of 2016. Since we don’t have time for that, let’s do another one of our brief trip reports. This is The Good, The Bad, The Ugly, and The Magical – Disneyland Edition. You can read all the books you want about Disneyland, and believe me, there are quite a few good ones out there, but there is nothing like walking into a place that is living history. Everywhere you turned there were nods to how, when, and who Disneyland was constructed. Windows everywhere relive days gone by. 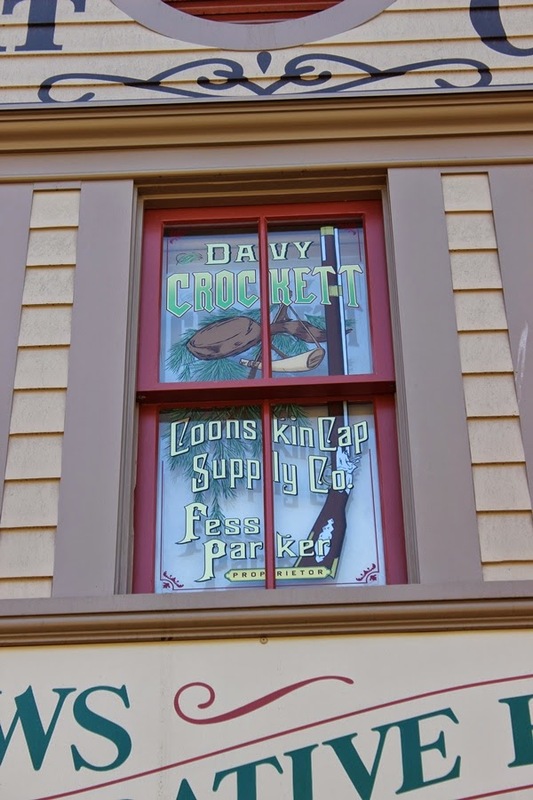 I’m not talking about just on Main Street, U.S.A., windows could be seen in a multitude of places that detail the important people and places that made Disneyland the place it is today. Lobbies of the Disneyland Hotel’s towers were filled with concept art, photographs, maquettes, and models of attractions and figures from the park’s lands. I mentioned it before I left, but Disneyland had a massive number of attractions closed while we were there. While I understand the need and want to get everything to a certain level of shine before the 60th anniversary rolls around in May, I feel as though some of these plans should have been developed along a different timetable. Maybe it’s the fact that I work with logistics every day, but there does seem to be a lack of consideration for what all the closures would mean for visiting guests. Let me break it down for you. In Disneyland, icons including Peter Pan’s Flight, the Matterhorn, all of Critter Country, and Sleeping Beauty Castle, along with its walk through, were all shuttered. 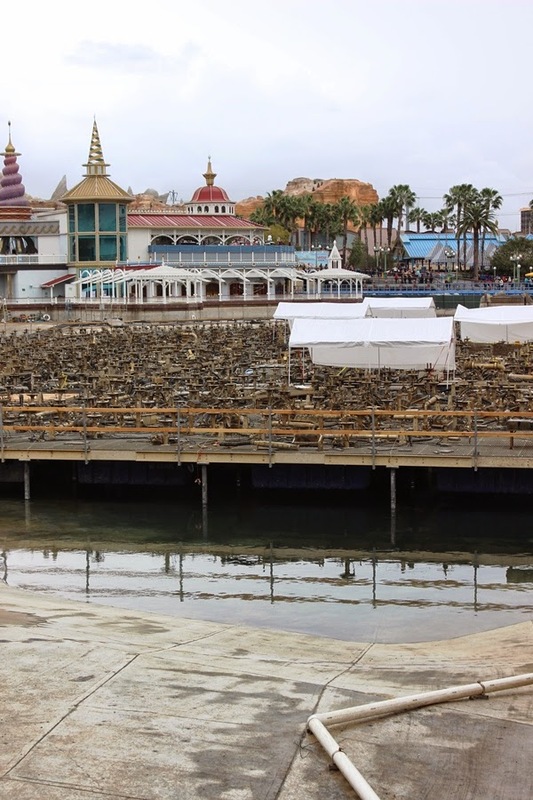 When combined with the draining of Paradise Pier’s lagoon, closing of World of Color, and the lands of Condor Flats and Grizzly Peak, which are becoming a joint entity, that’s a lot of big pieces to take out of play. While Disneyland may not thrive on the “once in a lifetime” family vacations that Walt Disney World does, it still needs to honor those guests by ensuring that so many of their attractions and iconic experiences aren’t take away all at one time. Disney is known for its disposition towards guests, and making experiences magical. I saw that level of quality all around the parks and resorts during this trip, but I also had two encounters that completely shocked me. One made me feel as if I were a second class citizen and another made an entire room feel as if Cast Members think the company they work for is a joke. First, as we were waiting in line for bag check one morning I realized I didn’t have the bag and went to move through the open lane as I would at Walt Disney World. The security Cast Member stuck her hand in my face without saying a word. When I said “excuse me,” I was met with the phrase “everyone goes through the line,” without so much as making an attempt at eye contact with me or further explanation. Having an aunt who spent 25 years in Disney Security, I am fully aware of what kind of stresses the job entails and the type of encounters Cast Members have, but this calling out was highly out of place. Each guest should be given the benefit of the doubt and not treated as if they should know better and they certainly shouldn’t be treated as if they are school children to be scolded. In the second tale, a loud mouth who had consumed one too many cocktails was ranting on about guests who belong to Disney social clubs and had patches to prove it. These are enthusiasts who love all things Disney and want to show it off, a corner of the market Disney has been happy to have in their ranks for many years. After about ten minutes of tirade, the lounge waitress went over and made a comment about the discussion, seemingly setting to squash the matter. Instead she states that she is on-stage and cannot comment before then disregarding the rules and saying that his speech made her smile. You now had a Cast Member, on stage, knowingly disparage a group of loyal Disney fans. I was shocked to say the least. I want to clarify that these were ugly moments and not the standard that I saw repeatedly throughout the parks and resorts. I could list exponentially more situations of magical moments I witnessed, but when every moment is a chance to shine these two Cast Members left a bad taste in my mouth and in the mouth of other guests. New Fantasyland is great, but to see what Imagineering can really do these days, head on over to Disneyland and just spend some time in Cars Land, Buena Vista Street, and Trader Sam’s. These areas immerse you in stories better than any singular experience in Walt Disney World or Disneyland. 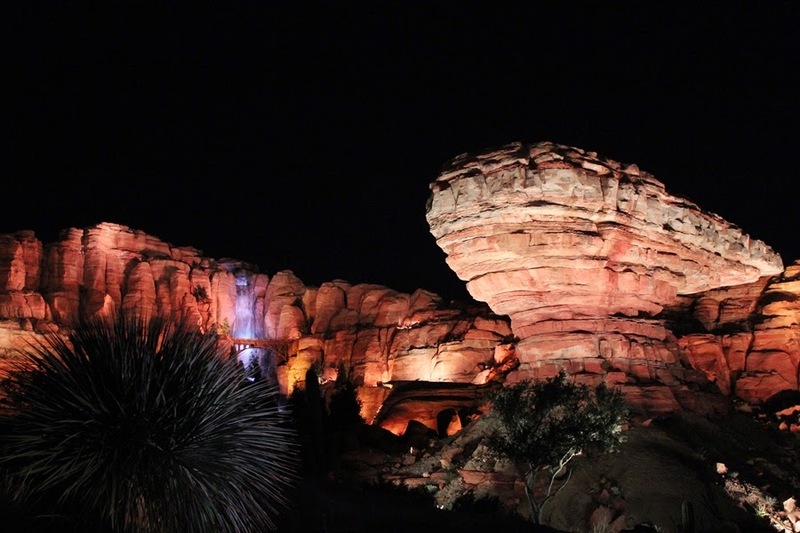 Cars Land creates an environment where you can walk right through Radiator Springs and even move guests through little or never seen corners of Carburetor County. It is authentic down to the last, minute detail. And don’t even get me started on how gorgeous the area is after the sun goes down, the neon lights up, and the Cadillac Range begins to glow! Buena Vista Street takes the best lessons learned at Disney’s Hollywood Studios from Hollywood and Sunset Boulevards and ramps them up a notch. Throw in actual trolleys, and it is lie stepping back in time to golden age of Hollywood. Trader Sam’s is the watering hole of all watering holes in Disneyland. Sure, it’s smaller than the Adventurers Club, but it has that same wonderful feel to it. Great drinks and glassware, tap sound effects, visual effects tied to specific drink orders, and bartenders and wait staff who really live the stories. Oh, and the artifacts on the wall that tie Indiana Jones to the Adventurers Club to the Jungle Cruise to all the excursion points in between are fantastic! If these are the signposts of the road ahead for Imagineering, then we are in for a very bright journey indeed.